We are going to end February with a new type of post. I am linking up with Emily Freeman for What I Learned This Winter. As I write this post, Spring is just 20 days 1 hour 15 minutes and 0 seconds away. How do I know? I have the Seasons app on my phone. It counts down the time until the next season arrives. The downside is it also shows you how long until Summer, Fall and the dreaded next Winter arrives. So it is time to take a look back on the Winter of 2017 – 2018 and see what I’ve learned. I’ve never been a morning person, whether it is light or dark out, but having to be at work fully awake and alert at 8 a.m. Eastern just stinks even when you work from home. Alarms go off every half an hour starting at 5 a.m. and ending at 7 a.m. Most mornings I am in the shower between 7:15 – 7:30 a.m., which means I’ve just gotten out of bed. When working the 10 a.m. – 7 p.m. shift, I used to be able to get up at 5 a.m. ish and do my devotions, have coffee, eat breakfast and get cleaned up for work – but it was also lighter out when I worked that shift. I am hoping my shift stays the same (8 – 5 Eastern) so I can develop a morning routine that will carry me through next winter which starts 296 days from today. And I am also hoping to develop a social life, which does not necessarily mean dating. As most of you know, I am a virtual logistics call center representative. Due to my extreme financial distress when starting this job my b-i-l loaned me the money to buy my computer. The repayment terms were easy to handle. When we picked out the computer the salesman tried to sell us on an easy on the eye screen that reduces glare. We did not feel it was necessary and worth the extra money. Out of curiosity, I researched glare in work environments. One article suggested green for call centers as it is easy on the eyes because it reduces glare. So I decided when I got enough money ahead, I would paint my office green. I’m still not enough money ahead. However, we had a contest at work to decorate our desks for Christmas. Behind my desk (which is a table), I put up green wrapping paper. The background is green with red and gold ornaments and pine cones. I noticed a difference. The wrapping paper is easier to look at in all kinds of lighting compared to the baby blue walls. The green I have chosen is Sherwin Williams Relish (SW6643). Hopefully sometime this spring I will be far enough ahead to fully remodel this office. Besides paint, I need a stand-up desk, an anti-fatigue mat for use at the desk, a new printer, and a larger external monitor. There are changes coming in the type of calls I take and I think a screen larger than the 21 inch one I have will be beneficial in handling these calls because of the number of tabs I anticipate needing. My cousin unexpectedly passed away in January. The last time I saw him was in 2016 at the family reunion. Last year I was ill and did not make the reunion. If it was not a 2-hour drive one way I would have gone but driving that distance down and back with major sinus issues would not have been good. Now he will not be there this year. It would not have been a surprise if it was a member of my mom’s generation that passed but he was my generation and younger than me. He should be here scattering joy through his infectious smile and music. I literally almost fell out of my chair when I found out about his passing. I was sick the next day and it took me several days to get back to normal. I know my illness was caused by the shock. This is also when I found it hard to keep blogging, which is why I appreciate link ups like Emily’s and Five Minute Friday. Linkups force our brain to think about a topic which is great for those of us struggling to find words for blog posts. Oh wow! I just thought of something. 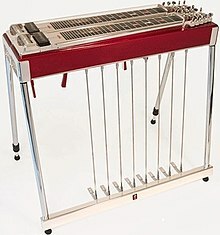 My cousin was playing his pedal steel guitar in the heavenly orchestra as Billy Graham walked through the gates of heaven. Well done cousin, well done.